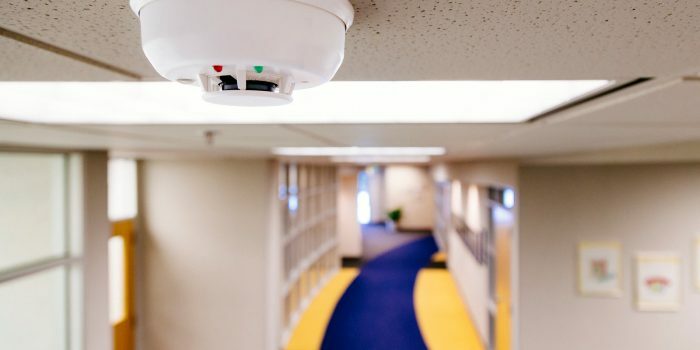 As a business owner, property manager, or superintendent, you have a responsibility to keep people safe in your building by providing an operational fire alarm system. That responsibility includes following local and state requirements for updating, maintaining, and testing your fire alarm system. Your building’s fire alarm system provides an immediate visual and audible warning during a fire situation. It notifies occupants to exit and gives them a better chance of reaching safety, while also automatically contacting emergency personnel and notifying them of the fire. At Schmidt Security Pro, out team of system designers and technicians are committed to helping you understand and meet these requirements. With our help, you can protect people at your office, school, or commercial property in Mansfield, Mt. Vernon, Ashland, Wooster, Marion, and surrounding areas. We use a customized system of integrated manual and electrical fire safety devices to keep your building equipped and ready to notify occupants and emergency personnel of a fire. Smoke detectors are considered life safety devices. They detect smoke to initiate your fire alarm system. You can install smoke detectors throughout your building, spaced in accordance with state and local requirements, to provide appropriate detection coverage. You can also install specialty smoke detectors in your HVAC systems to detect and shut down air moving equipment to prevent fires and smoke from spreading to other areas of your building. You can install manual pull stations throughout your building to provide a manual means of initiating the fire alarm system. In instances where a smoke detector has not detected smoke to initiate the fire alarm system, you can initiate the occupant notification devices by pulling a lever. Occupant notification devices provide warning to building occupants when a fire occurs. 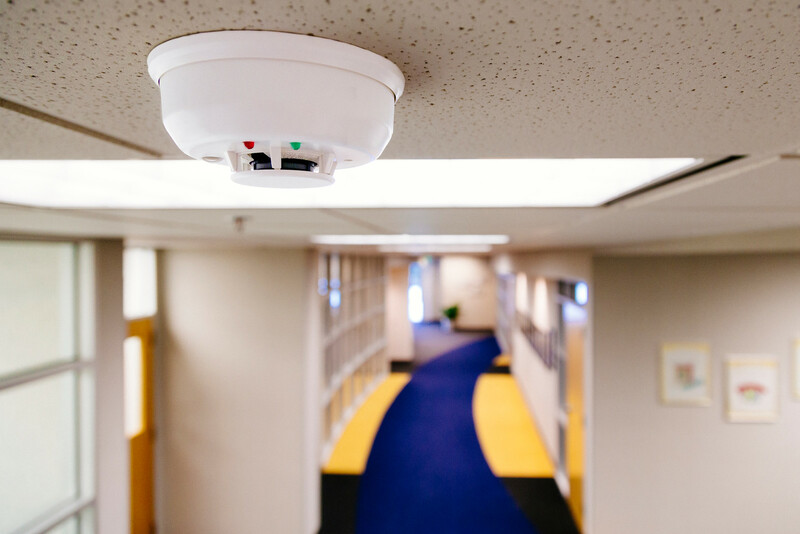 You can install horns and strobe lights throughout all occupied spaces of your building to ensure that everyone is notified early and clearly when the fire alarm system goes into alarm. Since 1976, our locally owned company has been focusing on protecting offices, schools, and commercial properties. 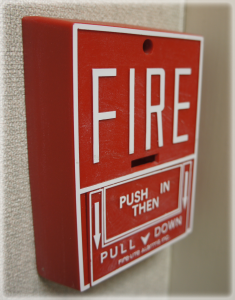 Fire alarm systems are an important part of your building’s safety plan. Contact us today to schedule an appointment to review fire alarm installation or testing for your Mansfield, Mt. Vernon, Ashland, Wooster, or Marion business today. Call Schmidt Security Pro at 866-526-4747 or fill out our contact form to learn more.